Home » News » Local News » Best Burglars Busted! Several suspects committed a theft at the Best Buy store on Highway 49 in Auburn yesterday afternoon. Placer County Sheriffs started a search for the suspects’ car which was spotted, determined it was also stolen, and was occuppied, near I-80 and Highway 65 in Rocklin. When deputies stopped the vehicle, four suspects fled on foot. Three were apprehended and arrested. A search for one continues. 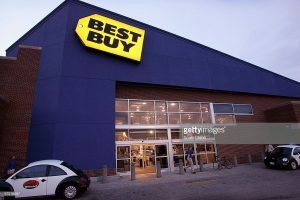 Best Buy stores have been the target of several robberies in the last few months.